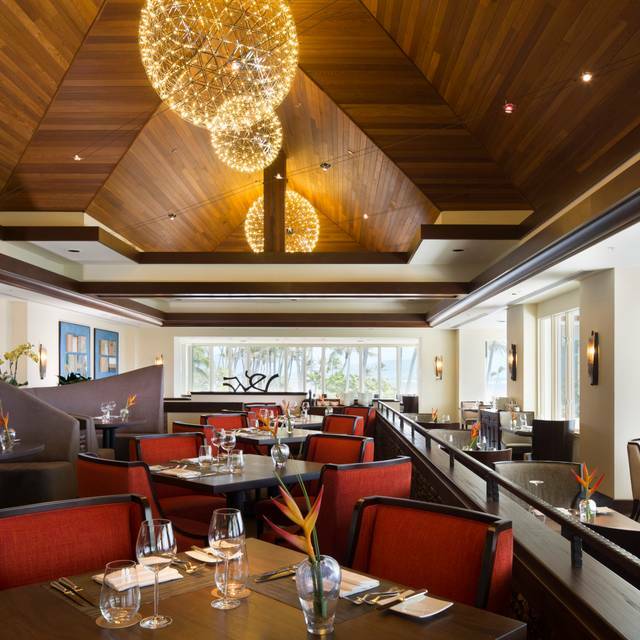 You must make reservations at least 5 minutes in advance of the time at Hoku's. There is valet service available as well as the hotel parking structure. Please note that due to limited seating availability we require a minimum 48 hours cancellation notice for holiday and special event reservations. We may require a valid credit card number in order to confirm your holiday or special event reservation with us. Hoku's does have a dress code; gentlemen are required to wear covered shoes, sleeved shirt, and long pants. Women may wear sun dresses to elegant evening wear. 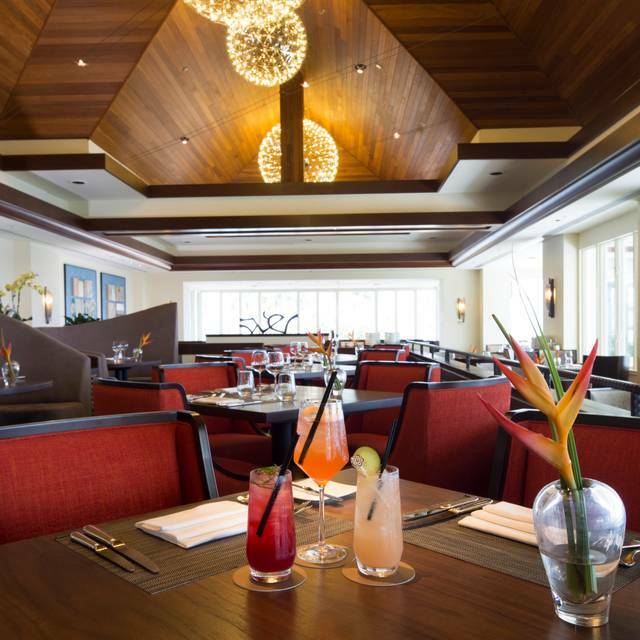 Hoku's at The Kahala Hotel & Resort is heralded for its tantalizing menu featuring global Hawaiian cuisine. 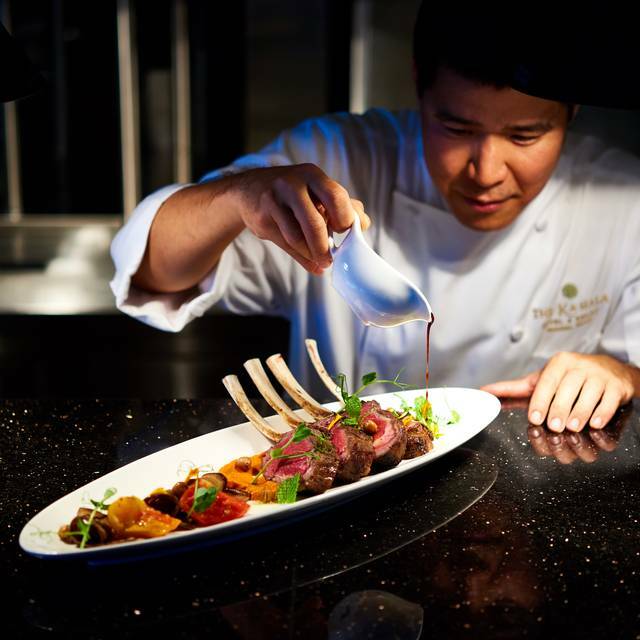 Open nightly for dinner and for Sunday brunch, the menu draws on four distinct themes that allow guests to experience Chef de Cuisine Eric Oto's interpretation of the sea, land, world around us, and stories and influences from his own life. 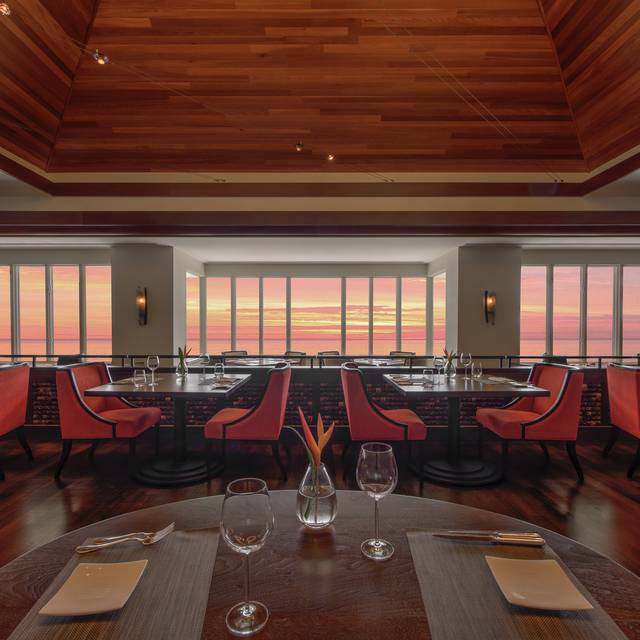 Hoku's has a breathtaking beachside setting with panoramic views of the Pacific Ocean from every table in the multi-level dining room. Hoku's does have a dress code; gentlemen are required to wear covered shoes, sleeved shirt, and long pants. Women may wear sun dresses to elegant evening wear. From the shallowest of reefs to the darkest of depths, our love for the ocean knows no bounds. The ka lawai'a section will satisfy your inner fisherman. Experience Hoku’s famous Sunday Brunch this Easter with new specially crafted menu items including Guava Glazed Ham; Classic Peking Duck with Hoisin, and Chinese Buns; Lobster and Crab Dynamite Rolls and more — including an extensive dessert buffet! The restaurant was very nice with a wonderful atmosphere. Unfortunately the filet mignon was very thin at less than an inchthick so it was really lacking a soft texture overall. The deep fried poke ball was absolutely delicious and the only real highlight of the meal. Overall I feel it was over priced for the quality of the food. I can't believe that we haven't visited Hoku's sooner! This restaurant is so lovely and everyone was so gracious. Ambiance - romantic and relaxing. 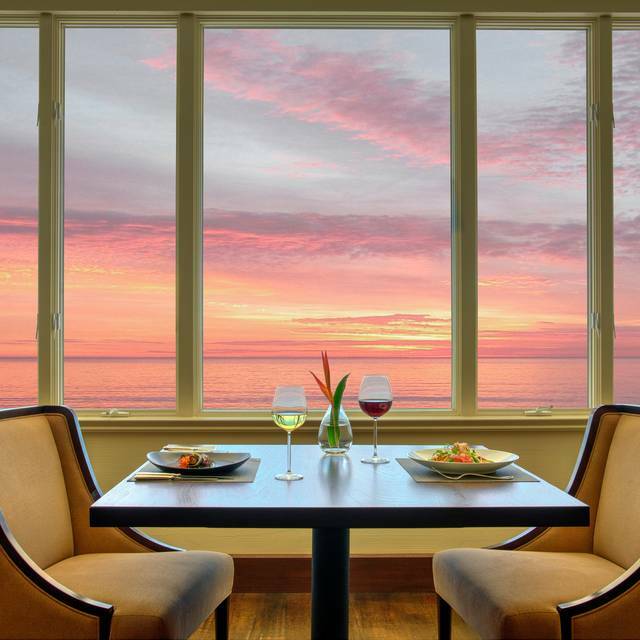 The large picture windows give you a perfect view of the water from any table in the restaurant. Staff - impeccable! Each encounter was professional and genuine. Food - Excellent! We ordered the famous Musubi, and knew right off the bat why this item is a hot order. Everything about it was just delicious. We also ordered the Goat Cheese salad, which was another delicious choice. Although we both liked the Big Island goat cheese croquettes better than the Maui goat cheese spread, they were both still yummy. Our entrees were the Seafood Ravioli and the Crispy Moi. Ah-Mazing!!! Every bite was cooked to perfection. Dessert consisted of the Lilikoi goat cheese cheesecake and the Fuji apple confit. They also brought out a complimentary Birthday cake! I'd definitely recommend the cheesecake. The tart lilikoi mixed with the subtle sweetness of the goat cheese was well balanced. location, view of ocean and sunset were fabulous. Worth a short Lyft over to this location. Food was inventive and delicious but 2 small issues: that the scallops, although cooked perfectly, were cold. I believe they came out to soon and sat waiting for the other main course to come out. One other small issue is that waiter dropper=d the silverware off of one plate onto my my wife's suede purse and that stain is likely forever. But a tremendous location, inventive and very nice meal and service overall was very good. This restaurant is absolutely impressive for special occasions. It is delicious and fine dining, yet also a buffet with lobster, king crab legs, lamb, prime rib, fancy deserts, etc. which is a rare and incredible opportunity. Food is good but way overpriced.shold be more in the $50-60 range. 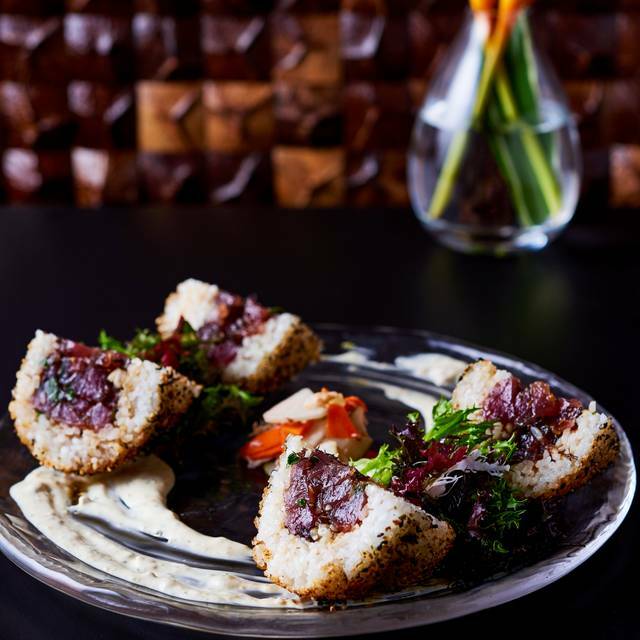 Hoku's is always a special occasion. We celebrated the end of our 10th anniversary staycation with brunch at Hoku's. It's a little difficult to reveiw buffet food since it's such a challenging format to do well but add the wonderful service and amazing view and Hoku's remains one of the best brunch buffets on the Island. All of the food dishes were done well and this is one of the few buffets that offers king crab--so awesome! The only letdown was that the sashimi wasn't quite up to par, but I'm nitpicking at this point. It was the perfect ending for our gastronomical 10th anniversary celebration. Great service, decadent menu, fantastic wine list...absolute must with a beautiful ocean view! My family and I really enjoyed our dinner at Hoku's. The menu offers enough selection to allow everyone in my family of 5 (which includes 3 children who usually argue over where to eat, because at least one person can't find something he or she likes on a menu) to be able to order something we each enjoyed. --My husband ordered the rack of lamb, I had the scallops, my son ordered the seafood tower (wow! Any seafood lover would have been very impressed), my daughter had the chicken, and my youngest ordered pasta off of the children's menu. All our meals were delicious! 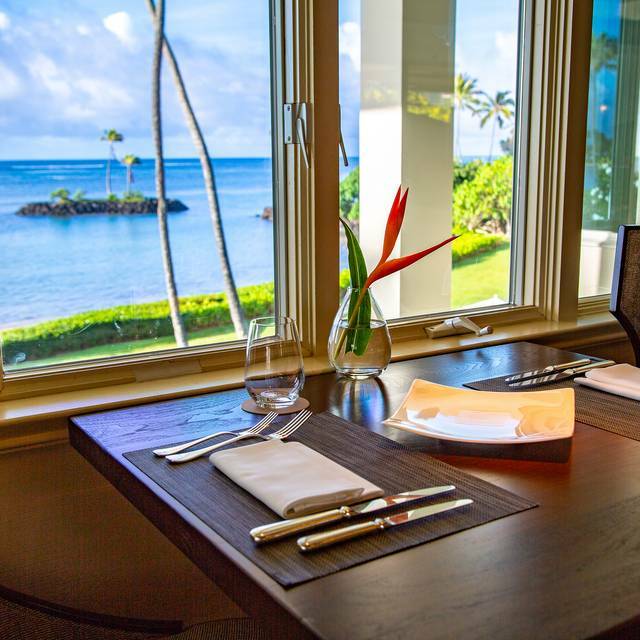 In addition to the great meals, the service we received at Hoku's was the BEST we have EVER encountered (and we have eaten at several fine dining restaurants around the world). The servers at Hoku's went above and beyond to make my children feel comfortable when I had to leave them at the restaurant to pick up my husband from work, since his car had a flat tire. The servers kept my children well fed with bread and appetizers while they were waiting for us. We greatly appreciated the aloha spirit that the servers shared. The servers really helped make our dining experience relaxing and enjoyable despite the interruption we had with the flat tire. I highly recommend Hoku's for the great food and especially the wonderful service its staff provides! We had a wonderful brunch celebrating my birthday. Looking forward to another celebration at Hoku. Really nice healthy luxurious foods!! Nice going Kahala! Only observation, two flies at our window seating. Enjoyed our evening! Food excellent! Service outstanding! In Hawaii on vacation. This is an awesome restaurant. Wonderful service, great food. Very classy and elegant. This is our 3rd or 4th time dining there. Always a great evening. Our anniversary. Servers were great. Acknowledged our anniversary without being overly solicitous! We had a great time with good food in a gorgeous setting. Supet excellent i have had in hawaii. Price is reasonable!!! We had eaten at Hoku’s several years ago and again 3 days ago. It was as good as ever. From the quality of the food, the presentation and the service, it made for a perfect meal. I would highly recommend Hoku's. Little pricey, but the experience there is always wonderful. Food is good; some things are great, like the ahi musubi (my fav). Will definitely be back there. Hoku's brunch is absolutely amazing. With offerings like crab legs, lobster tails, shrimp, ahi poke, mussel poke, sushi, sashimi, lamb, prime rib, and far more- it is really easy to eat your money's worth. The food is all wonderfully done/fresh and the staff does a fantastic job keeping everything full. I have been twice and was impressed both times. If you go, you have to walk around outside and see the dolphins! Exceptional service from Julie, Tony and the rest of the staff. It was a very memorable evening. Thank you! The view, the food, and the service was outstanding!!! My wife and I celebrated our 14th wedding anniversary at Hoku’s. I was so impressed with everything, that I must say that our visit ranks in the top five restaurant experiences we ever had. 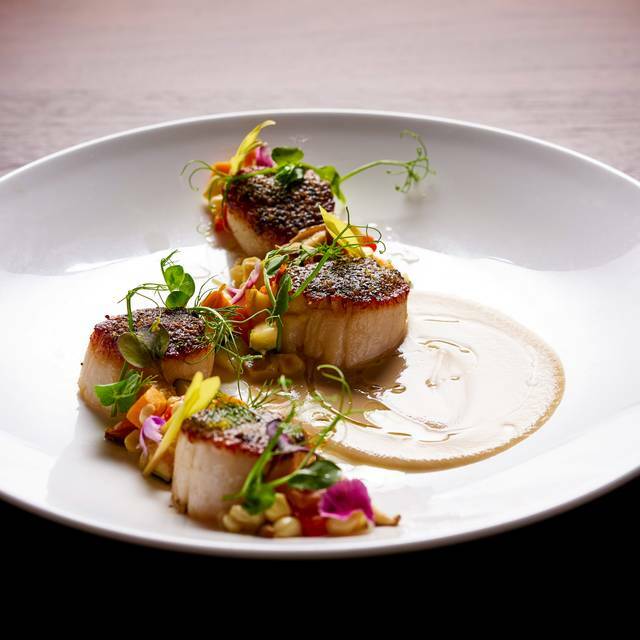 I worked in the culinary field for many years and visited many of Hawaii’s top restaurants, so I think I know my food pretty well. I really enjoyed the experience and look forward to the next one! We got wonderful ocean front table for 4. Super attentive and professional waiters. Very tasty foods and also the included appetizers as well. Highly recommended. Started with a bottle of light red Italian wine that went with all our dishes. The charred octopus as an appetizer was quite tasty, baby romaine with crisp Parmesan cheese had a light miso dressing that didn’t overwhelm the salad, seafood ravioli was delicious but on the rich side, and half a rack of Colorado four lamb chops were tender and moist. The only thing was that the bread and a dip made from mayonnaise was not good. But overall we were satisfied and would love to go again. Excellent as always the chefs at Hoku really know what they’re doing.... delicious Pre Fixe menu paired with wonderful wines. Outstanding service, breathtaking views and ambiance. The food was excellent. We went early (5:30) so the restaurant was quiet and the food arrived quickly. It was a nice view out to the ocean. 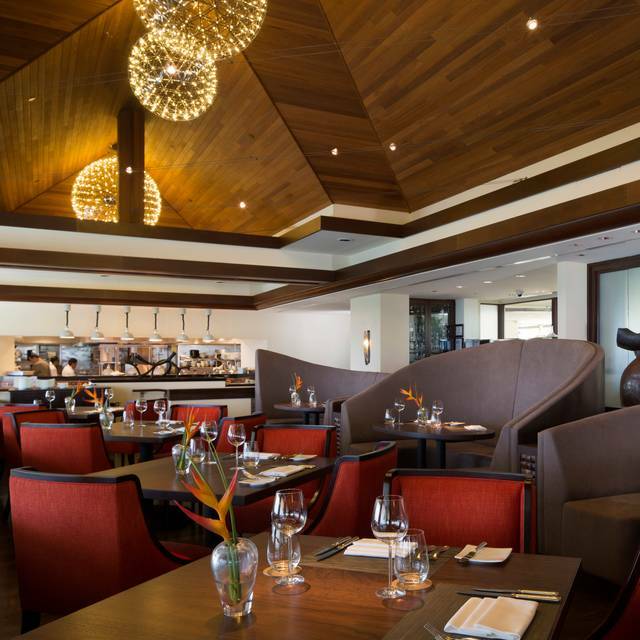 Hoku is one of my favorite restaurant when I am visiting Honolulu. You will love the food, service and ambiance. You must go and experience the Sunday Brunch. They have a wonderful selection of food and request for a window seat with the beautiful ocean view and view of Diamond Head. Whether you are celebrating a special occasion or a night out you will not be disappointed. This review is for the Ala Carte dinner menu. Definitely a great place to celebrate a special occasion. We loved the menu choices from the 4 Global Hawaiian Cuisines. The food was phenomenal in both presentation and taste! Did I mention that the ocean view was beautiful? We were really impressed and will definitely be back. Outstanding! We had a wonderful experience. The view was beautiful, the ambiance romantic and our meal was excellent. Highly recommend for celebrating the one you love. Food was good and the servers were kind! Good for celebrating anniversary! Incredible staff, prompt service, food was fantastic as were the wines. Highly recommend. Fantastic food with incredible ambience and extremely attentive staff. Our server, Tony, provided not only an amazing curation of our five course meal (prix fixe) but also invaluable tips for future visits to Oahu and our upcoming stay on the big island of Hawaii. Not sure how this establishment hasn't been Michelin starred. This was one of the most enjoyable meals we’ve ever had. Everything - venue, service, food, and value - over the top. We had reservations at 6:00 which was a perfect time. The views of the water were amazing. We had the ahi app, prawns and shellfish ravioli and they were unbelievable! Service was outstanding. I’ve had more expensive meals for half the experience. Highly recommend it! Best Sunday brunch in all of Honolulu! Celebrating my mother’s birthday at Hoku’s...great customer service. I appreciated the staff greeting us and telling my mother happy birthday. They went out of their way to make our day extra special!